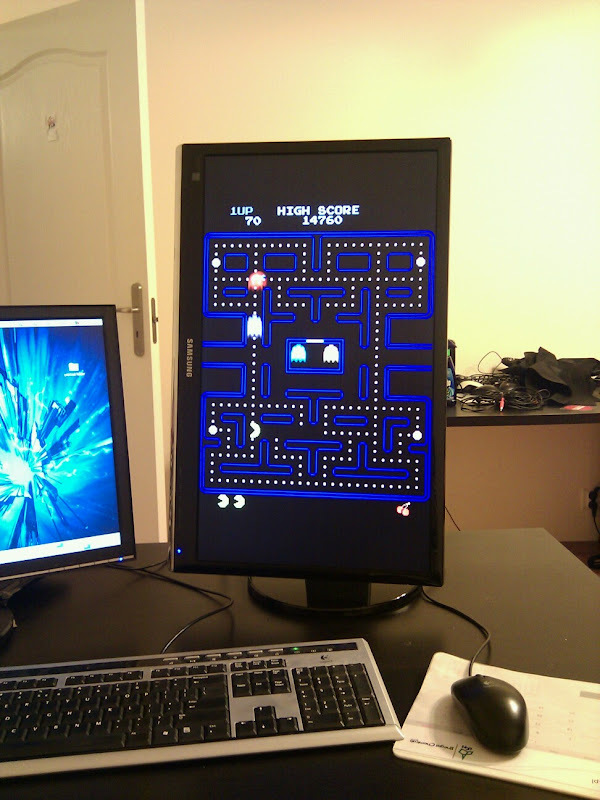 I used to think pivot monitors were only good for playing Pac-Man in portrait position. But why restrict ourselves to just the landscape and portrait positions? What I really wanted to do was to make the desktop rotate with all the windows. I think it should be possible with Compiz, but I'm pretty sure it would prove difficult enough for me to lose interest halfway through. So, a teapot for now.